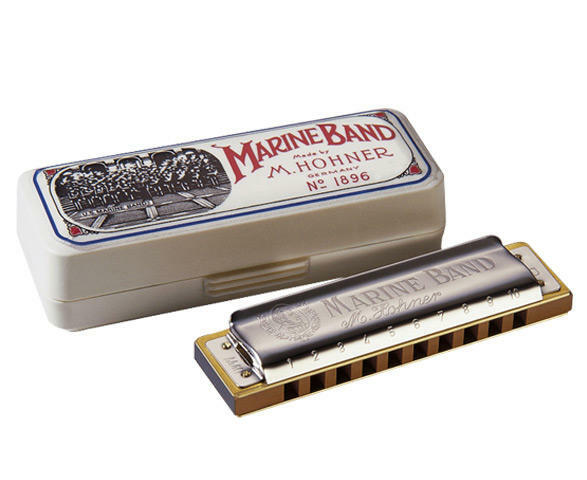 The classic Hohner blues harmonica since 1896. Marine Band. For those who like a chunk of wood between their teeth! Perfect as a harmonica gift or for yourself, someone deserves the treat. Adam Gussow, if you haven’t heard of him type his name into youtube. This awesome player started out on this harp and throughout his career can’t stop coming back to it! The original blues harmonica with the legendary sound. The Marine Band with its traditional pearwood comb and unique cover design has been manufactured for more than 100 years and is still the instrument of choice for numerous top professional players. Great harmoica to buy to learn on, great harmonica to have with you all the time, great harmonica to play as a pro. Comes in all the favourite keys. Buy your best key harmonica or buy the lot, either way you'll be playin' dem blues till your lips burn. Check Adam out in the video playing a Marine Band and singing one of my own favourite blues harp tunes by Sonny Boy Williamson the 1st. Enjoy. If you think Adam could teach you a trick or two on the old blues harp check out his website where you can download his lessons.